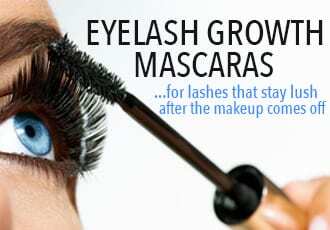 Wondering how to make eyelashes grow but hesitant about trying a lash growth serum just yet? You’re in the right place! There are a bunch of home remedies for eyelash growth that you can try out in the comfort of your own home. Instead, these all natural oils for lashes penetrate into your eyelash hair follicles to nourish and moisturize your eyelashes, restoring health, minimizing eyelash fallout and setting the stage for eyelash growth. The awesome thing is that you don’t have to just use one oil – you can combine several of these wonderful natural lash growth oils into your own homemade eyelash growth serums! These are one of my favorite homemade beauty treats and I’m going to share 3 of my favorite recipes here. They’re perfect for deep conditioning your eyelashes and providing nourishing relief to over-stressed lashes. Find out how to make ’em! Empty, reusable mascara tube and wand – shop it here! This is the easiest eyelash condition you’ll ever make and it’ll help you thicken out your lashes within just a few weeks! Castor oil – shop it here! This thick, viscous oil is super rich in fatty acids, vitamin E and proteins. 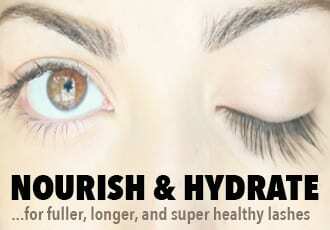 It gets deep into the hair follicles and your lashes will drink it right in for instant hydration and nourishment. It’s been used since ancient times to prevent baldness and will help plump up your lash line. Coconut oil – shop it here! This yummy-smelling oil is full of nourishing vitamins and fatty acids that bind to the protein in lashes to protect both the roots and strands. The fatty acids found in coconut oil are mostly lauric acid, which also comes with antifungal and antibacterial properties that’ll protect your eyelashes from falling prey to infections that limit hair growth. Pour equal parts castor oil and coconut oil into your empty mascara container. Close the tube and shake it to mix the formula. Dip the mascara wand into this DIY lash growth serum and gently brush it onto your lashes from root to tip – use just a small amount because the castor oil is quite heavy and can weigh down your lashes. This recipe takes things up a notch by adding a few all natural lash growth ingredients that give your lashes a huge boost. Argan oil – shop it here! Argan oil is chock full of antioxidants like Vitamin E (which is also an amazing moisturizer) as well as essential fatty acids which nourish, hydrate and promote healthy lash growth. This rich oil is especially great for reversing the damage done through harsh chemicals (lash glue and mascaras) and research shows that argan oil can even promote faster, longer hair growth! Liquid biotin – shop it here! Know why Biotin is called Vitamin H? Well, the “h” in Vitamin H actually stems from the German words Haar and Haut that mean “hair and skin.” Yes, that’s how good this vitamin is for all things hair (and skin). It’s an especially beneficial lash growth ingredient to have if your lashes are prone to thinning, breakage and brittleness – biotin will nip that in the bud! Pour argan oil into your empty mascara tube. Drop in around 5 to 10 drops of liquid biotin. Seal and shake the tube to mix well. Dip the mascara wand into this DIY lash growth serum and gently brush it onto your lashes from root to tip. You should be warned – this DIY lash growth serum is amazing for strengthening and lengthening lashes…but it’s not the sweetest-smelling thing around. Neem oil has tons of beauty benefits – like promoting faster natural lash growth – but it does not smell very good. I personally find the smell terrible but its lash growth perks more than make up for its lack of yummy-scentedness. Neem oil – shop it here! Neem oil is one of the best oils for eyelash growth, period. Actually, it’s great for all kinds of hair growth, that’s why you’ll find it in pretty much every hair loss/hair growth shampoo there is. It’s rich in fatty acids like linoleic and oleic acids that deep condition and moisturize dry, brittle lashes back to health and it has regenerative properties that support healthy hair cells and stimulate hair follicle growth and function. Sweet Almond Oil – shop it here! Light and lovely, sweet almond oil is the perfect oil to mix with Neem. It’s also super rich in monosaturated fatty acids, lash-growth-boosting Vitamin E, and even growth promoting calcium. It’ll moisturize and deep hydrate your lash hair follicles and prevent against them breaking off and falling out! Pour a 70:30 mixture of sweet almond oil to neem oil into your empty mascara tube. Seal and shake to mix well. Use any of the above DIY lash growth serums daily! Note: The above DIY lash growth serums are great for growing healthy lashes but if you’re looking for much longer length and thickness, these won’t do the trick. These point of these lash conditioners is not so much to provide eyelash growth, but to nourish, moisturize, and restore your eyelashes to health. For dramatically longer lashes? 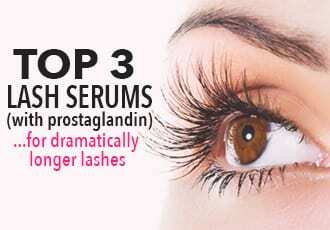 Choose one of the best eyelash growth serums. I’m personally a great fan of castor oil for the eyelashes (and yes, I’ve used olive oil as well, but olive oil is acid and irritates the eyes if not applied with extreme care). Argan oil is a nice idea, and I have it around here as well; I wonder if mixing argan + castor oil will make a difference? Haha, thanks for catching that and pointing it out! Argan and castor oil sounds like a great combo, let us know how it goes! I love that oil. But sorry I needed smth stronger due to my age. My favorite remedy now is Cherish Lash serum – such a mild but powerful effect. It helps boost my eyelashes naturally and they remain so silky. where do I find info on the Cherish Lash Serum? Glad to see there are more lash obsessed people in the world. I’ve spent years of ‘researching mascara’ (aka buying ridiculous amounts of it in the hope of finding something mindblowing) & have just purchased my first serum but keen to try some oils as well so thanks so much for sharing all this info!